Start the day sunny side up. 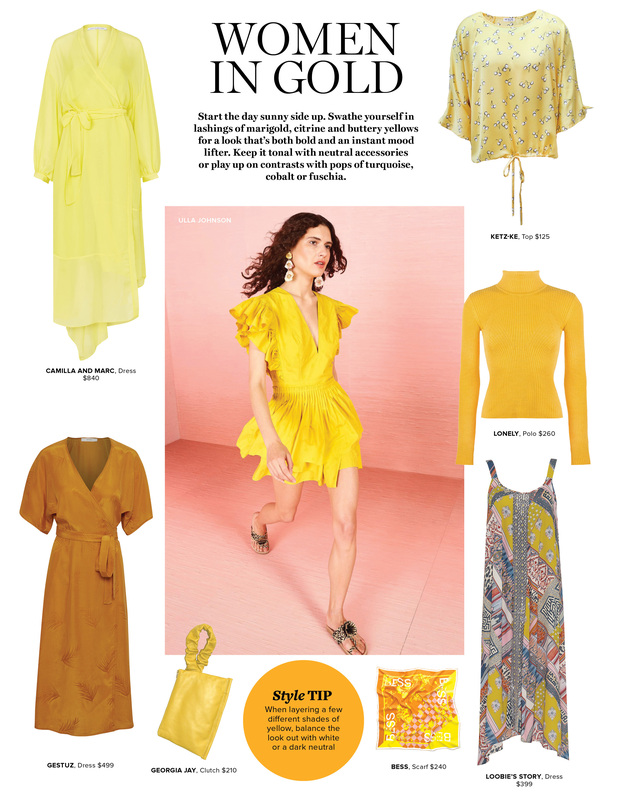 Swathe yourself in lashings of marigold, citrine and buttery yellows for a look that’s both bold and an instant mood lifter. 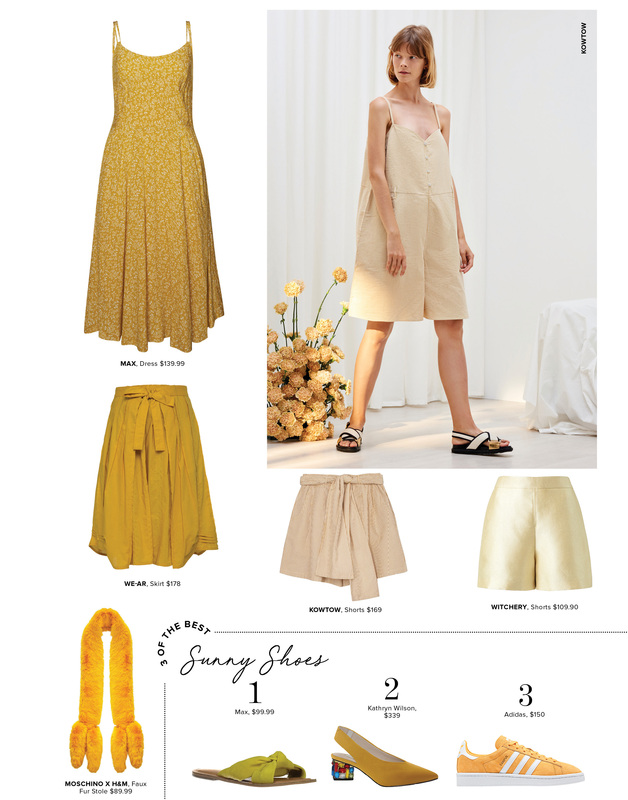 Keep it tonal with neutral accessories or play up on contrasts with pops of turquoise, cobalt or fuschia.